The American Craftsman Vanity is part of a remarkably sophisticated collection of antique style vanities that will give your home a look that will ring out classic beauty in every direction. 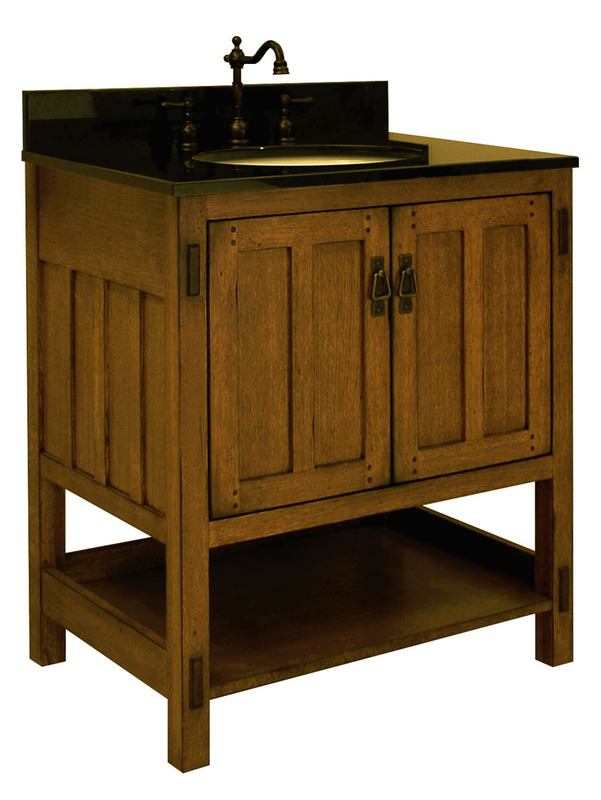 Featuring ample storage space with exposed tenons and an elegant vertical lines design, the American Craftsman collection combines aesthetics with simplicity for a vanity that has as much style as it does function. 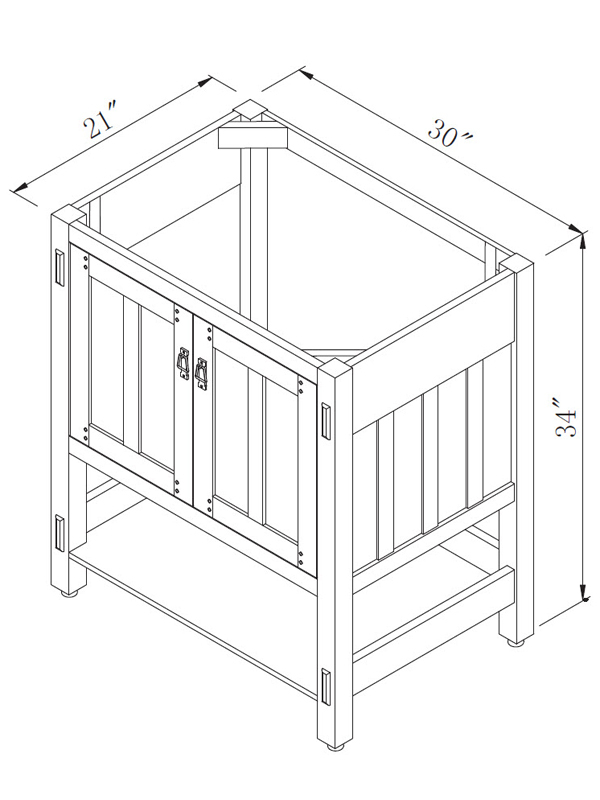 This 30" size features a central double-door cabinet, made from solid wood with dovetail constructions and fully-extendable drawer glides. 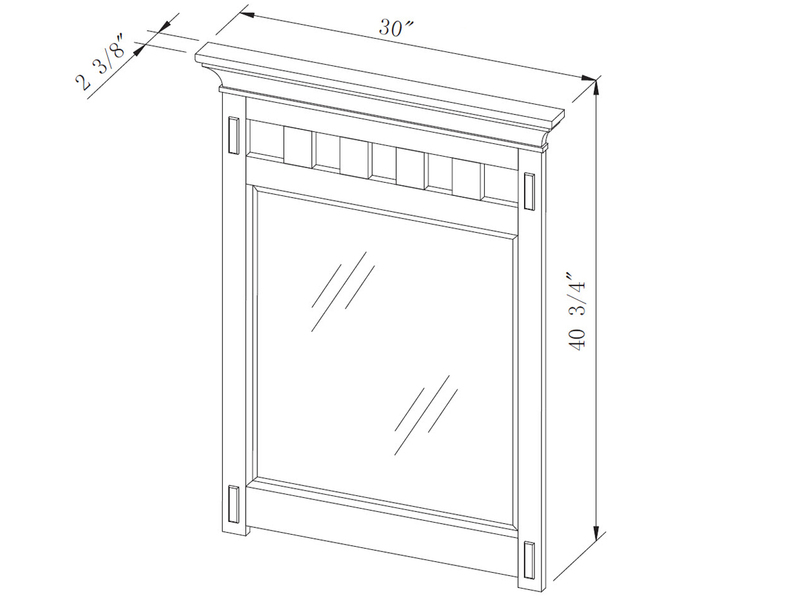 To add to the classic style, period-style antique brass hardware accent each of the cabinet doors with exposed dowels to give it an arts and crafts style. Underneath the cabinet is a convenient towel shelf, perfect for storing an extra towel or two for you or your guests. Adjust the height of your new vanity to best suit your needs with its adjustable leveling pads. 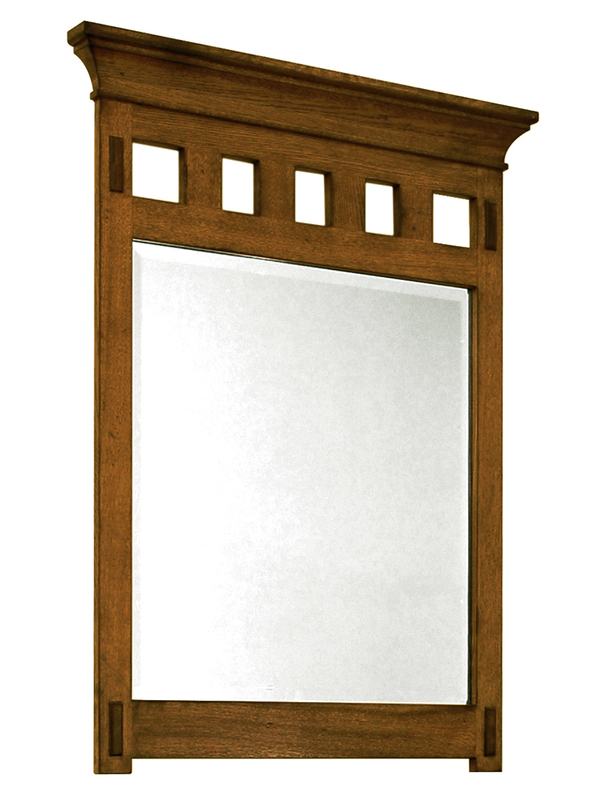 Match your new vanity with its matching mirror, featuring a lightly distressed appeal with crown molding and exposed tenons to further give your bathroom an artsy effect. 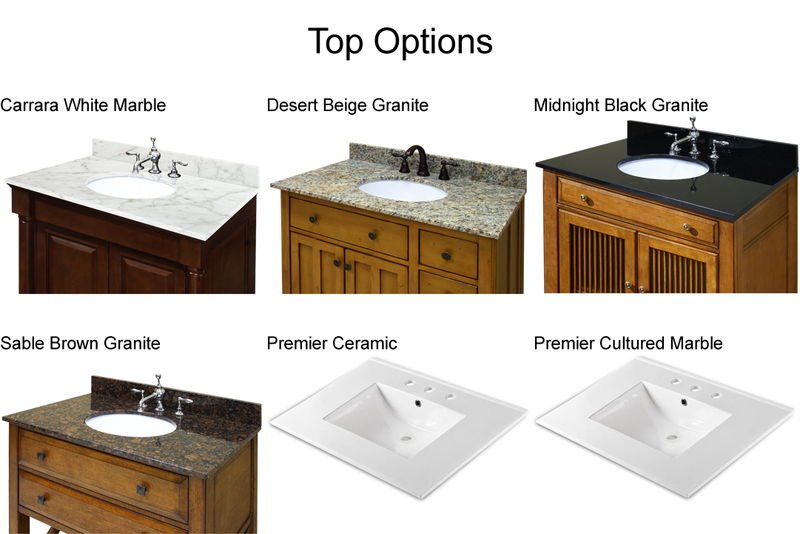 Choose your own top for your new Marco Vanity or match it with any of the 4 fantastic granite top options available! Each top option pre-sealed and pre-polished to a smooth finish and is includes a pre-mounted undermount white ceramic sink!